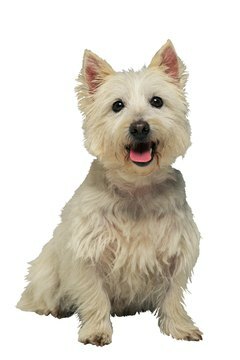 White dogs come in all shapes and sizes, and their personalities are as different as the breeds they represent. White dogs can be magnificent in appearance -- they never fail to get attention -- but they require effort in grooming to keep them looking good. Regardless of smooth, wiry, shaggy or double-coated, plan to brush your white dog, and beware of grimy sidewalks! The long, flowing white tresses of the Maltese are the trademark of this diminutive dog. These dogs are adorable with a red bow for Valentine's Day or a shamrock-green hair ornament in March. They also look adorable peeking out of a purse-style dog carrier, which can match your outfit. Other tiny canines can be all white, like the West Highland white terrier; or they can be mostly white, like the Papillion. Chihuahuas, French bulldogs and others can be white, mostly white or off-white. Special shampoos or rinses that whiten the white are recommended to keep away that yellow tinge, and white dogs should be taught to stand still for the hair dryer. Medium-sized white dogs include American Eskimo dogs, which come in various sizes, but always arrive in a white coat. 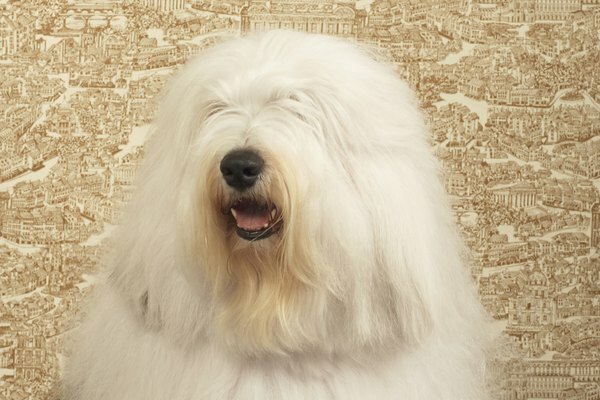 White poodles and bichon frises require clipping to keep their coats in style, and the bubbly Havanese can come in any color, including sparkling white. The cuddly Clumber spaniel is mostly white, with lemon or orange spots, and the handsome fox terrier is predominately white, whether in a wiry or smooth finish. Large dogs cannot be ignored -- especially when they are white and bright! Consider the beautiful Samoyed. Bred to herd reindeer, they match the white snowy scenes of their Russian routes as do their compatriot Borzois, which are mostly white. The Great Pyranees and the Kuvasz are European dogs that guard sheep flocks. Their size and coats help them blend with their charges, making them especially effective guardians. 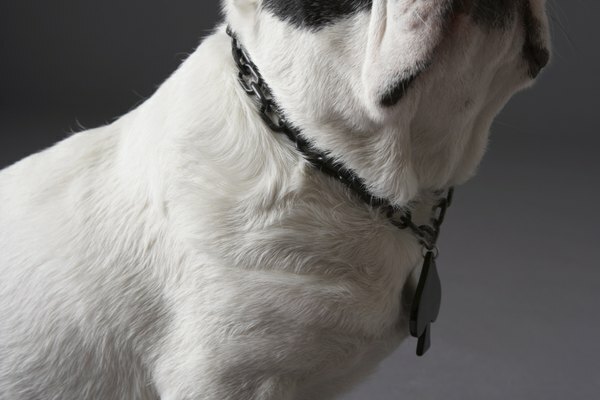 Stately white American bulldogs came to fame when a movie, "Homeward Bound," hit the theaters. German shepherds and boxers can be white, but the American Kennel Club disqualifies them in the show ring. White dogs can have special issues attached to the very fact that they're white. White dogs are happy when they're healthy, and owners must protect their dogs from threats in the environment. 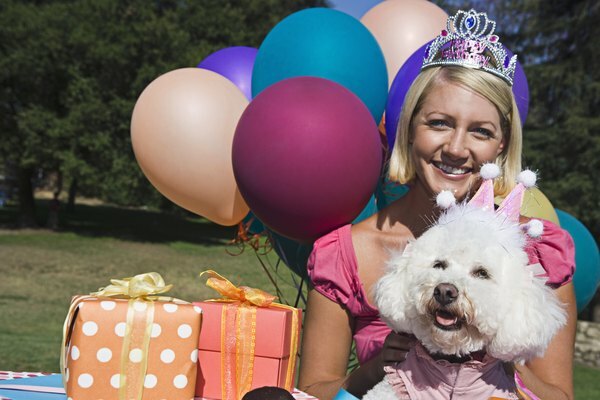 White dogs can be at risk for skin cancers, and white dogs with pink noses are especially at risk -- and owners should apply sun screen before taking them outside. The genes associated with color are also linked to hearing, and there is a higher incidence of deafness in white dogs of some breeds, such as the white boxer or Great Dane. Owners of these dogs should have their pets spayed or neutered; however, the dogs can be wonderful companions. If white makes you smile, check the breed standard of any breed you have in mind, and contact a veterinarian for advice in choosing a healthy pet.